Help us grow the Oak in 2019! Supporters like you have played a crucial role in engaging Americans in the life and protection of the National Trust’s historic treasures. We rely on our Annual Fund to be able to do this meaningful work. In addition to restoration fundraising, such as that for Knole, our educational programs also depend on the Annual Fund. The Nigel Seeley Fellowship, giving an American student or young professional the career-changing opportunity to work closely with National Trust experts at the Knole Conservation Studio, is one of many examples. Since 1973, your contributions have also enabled Royal Oak to present distinguished speakers around the U.S., bringing our mission home to many members. Access to our lecture series enables thousands of our American supporters to learn about subjects ranging from British history, to preservation, to remarkable figures in politics, arts and culture. 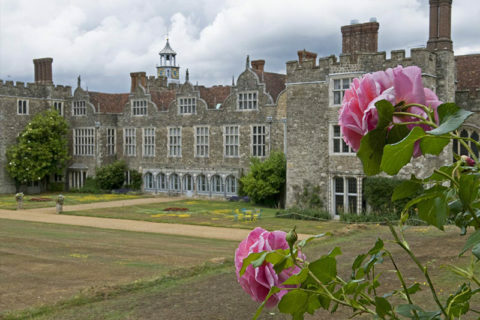 To give you an example of the important work Royal Oak members do, our members raised over a million dollars to help restore Knole, one of the most historic of National Trust properities. This legacy ensures that visitors can continue to experience England’s largest house.